Ford Service Specials | Bill Utter Ford Inc.
You may be on top of the world with your new Ford Mustang, Superduty, Edge, Explorer, F-150, or Escape until of course you hear a strange noise or realize that your oil change is almost due. Nothing takes the wind out of your sails more than an unexpected service appointment, which is why our Denton, Roanoke, Flower Mound, Frisco, and Lewisville customers are in luck. On this page are some coupons for you to save money on the various appointments your new car may need down the road. 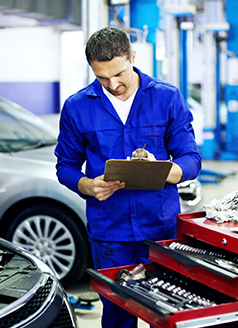 These coupons may offer you the opportunity to save money on the routine maintenance that you need to have in order to keep your car, truck, or SUV running smoothly. Sticking with your service schedule will help maintain the longevity of your vehicle so it can last you through some tough times. We encourage you to bookmark this page and check back frequently to ensure you find the service coupon that you need for your vehicle to receive the care that it requires for the best possible performance without having to break the bank. When you find the one that is the right for you, simply print it out and present it at the time of your service appointment. Simply contact us to schedule an appointment or fill out our quick form to set one up online. Whether you purchased your new or used car with us or not, simply bring it here to have quality care from our Ford-trained technicians. Having a team of professionals behind you and your vehicle will help you receive the care that you want without having to stretch your wallet. If you have any questions about the service deals on this page, contact us and we will be happy to answer them for you. Be sure to inquire about the expiration dates that might apply to your coupon and check back often for the best deals.